During the British rule in the Indian subcontinent, their hypocrisy and atrocities so much became peaked, that several royal women were humiliated and ill treated by them after they had become widows with no legal heir. Some of them ultimately became well known rebels against foreign aggressors. 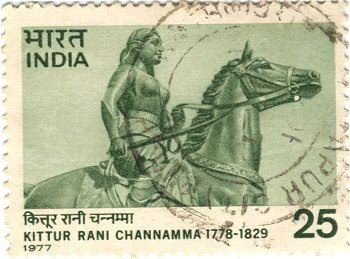 Rani Chennamma was one among the valiant royal rebels against the British. Kittur Rani Chennamma, who married Raja Mallasarja, of the Desai family, had a son. Upon the unexpected death of her son in 1824, she under legitimate Hindu laws, adopted Shivalingappa, and made him the legal heir to the throne. The British East India Company had been on land-gabbing spree during their heyday for a long time. Using the doctrine of lapse authored by Lord Dalhousie as a ruse, they unscrupulously targeted many rich Indian kingdoms and gobbled them up one and by one without remorse. In the aftermath, the British earned the ire of so many princely families who were given a yearly pension which was nothing but peanuts. Rani Chennamma of Kittur fort, Belgaum.www.karnataka com. under the doctrine of lapse (officially codified between 1848 and 1856). Rani Chennamma sent a letter to Elphinstone, Lieutenant-Governor of the Bombay Presidency pleading the cause of Kittur, but it was of no avail, her request was turned down, Lt. Governor Elphinston rejected reconsideration of British take-over and their annexation was final. Infuriated Chennamma defied the government order and war broke out. The British took away her personal collection of jewels. She fought bravely two wars against a huge force of 20,000 men and few hundred guns. Chennamma's army killed several British military officers. During the second war the Sub collector of Sholapur, Mr. Munro, nephew of Thomas Munro was killed. In all wars against the british, she was ably supported by her loyal military commanders Amatur Balappa, Sangolli Rayanna and Gurusiddappa. Unfortunately, the latter's valid roles in the wars against the British had not been well recorded. Though she fought well, she was ultimately captured by the British in collusion with her own jealous relatives who were ready to betray her and the their mother land. They imprisoned her at Bailhongal Fort, where she ultimately died on 21February 1829. Till death, she remained a pious Hindu woman spending her time in prayers. After Chennamma's imprisonment, Sangolli Rayanna became a rebel and conducted many guerrilla attacks against the foreign rulers but, at last, was caught and hanged by the them. Shivalingappa was sent to prison. Diabolically, the British added another territory in their kitty. Thus, the poignant legacy of valiant queen Chennamma came to the end. Chennamma, who entered the Indian scene very much earlier than Rani Lakshmi Bai of Jhansi and Rani Avantibai of Ramgarh, was one of the earliest to have led an armed rebellion against the oppressive British rule under the East India Company. In the state of Karnataka, she is still an icon of bravery and wisdom. she is celebrated along with Abbakka Rani, Keladi Chennamma and Onake Obavva, as the outstanding women warriors and patriots. 01. The Times of India article ( Oct 30, 2012) 'Kittur Rani Chennamma's samadhi lies in neglect'' by Uday-Kumar mentioned the Samadhi of this valiant queen is in a state of neglect and the lights are not working. Light poles at the samadhi seem function only during Kittur Utsav and Kannada Rajyotsava. Further, there is no information on her biography at the samadhi. It pained me to read the news item on Kittur Rani Chennamma. State government should come forward and rectify the mistakes. 02. 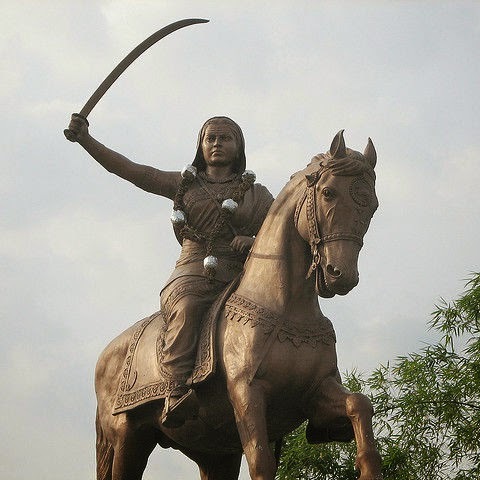 At the Parliamentary Building in New Delhi on 11 September 2007, a statue of Kittur Rani Chennamma was erected . The statue was unveiled by Pratibha Patil, the first woman President of India. 03. 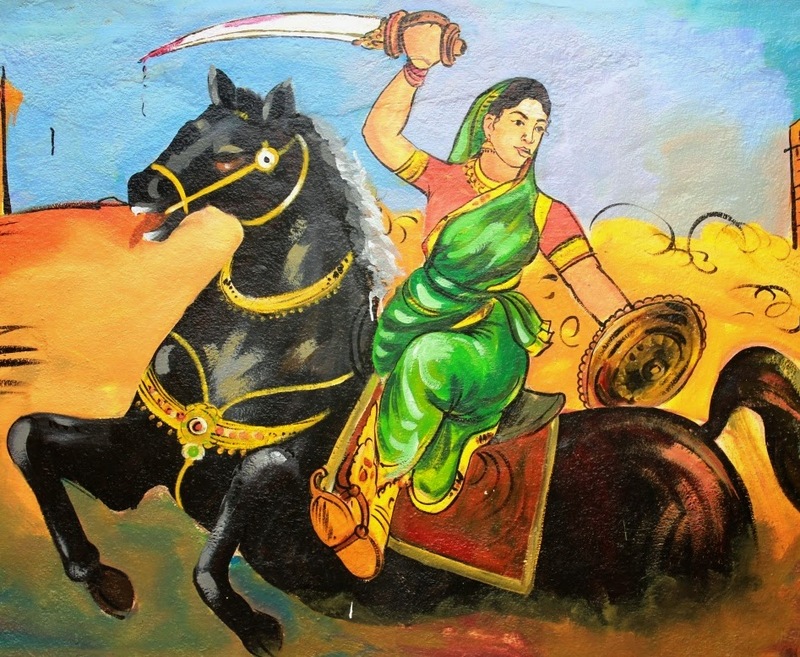 She is celebrated along with Abbakka Rani, Keladi Chennamma and Onake Obavva, as the outstanding women warriors and patriots. I devoured a couple of articles published on your blog and found them genuinely considerable. The way you keep imparting your valuable insights here is appreciated. Keep posting. Professional Web design services are provided by W3BMINDS- Website designer in Lucknow.